As others have told you PCA does not look for amplitude - in fact it is standard procedure to normalize your variables before a PCA. You did not do this by the way. 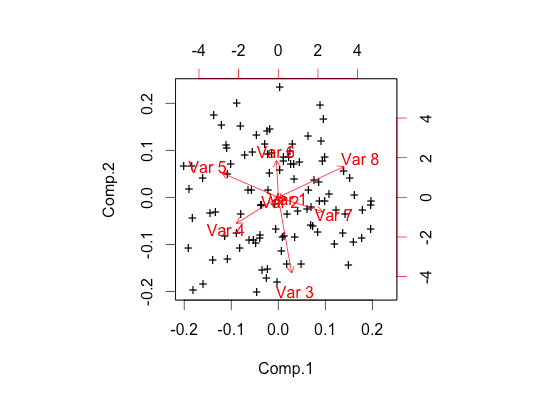 It looks for correlations between the columns. Generating a second random column with similar parameters but also adding the first column to it. In your example this would basically be first column + randbetween. The post referred to by whuber is quite useful for artificial data. 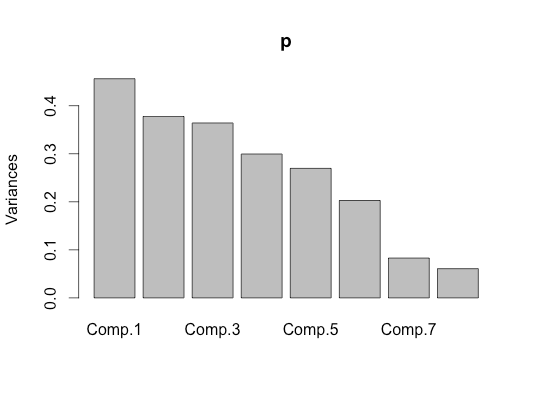 Here's a simple PCA with your random data generated in R. The first two principal components explain about 40% of the variation, the remaining six explain the rest. Not the answer you're looking for? Browse other questions tagged pca or ask your own question. PCA on correlation or covariance: does PCA on correlation ever make sense?